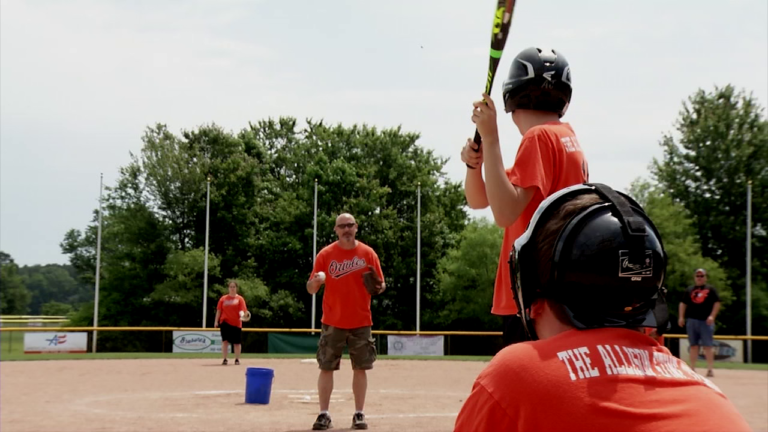 With the toss of a ball and the swing of a bat, these kids and parents were having a blast. It's the Sussex County Challenger Division, a league for boys and girls with special needs to enjoy the game of baseball. Megan Browne and her family started the league a few years ago hoping to bring some much needed outdoor activity and fun to the Sussex County area. "It's all about the kids always. It's a great league, it's so wonderful for them to be outside and socialize with everybody and the sense of accomplishment they get when they have success out here is so amazing," explains Browne. Browne says it gives the kids a chance to really shine. It doesn't just bring smiles to the kids' faces, but the parents too seeing their kids grow and succeed every time they step up to the mound. "It's just been amazing its great to see kids be able to participate in a program like this where there's no judgement and all the parents, all the kids we're all in the same situation and you know it's just everyone having a good time and there's no pressure. It's just great, I love it," says Jeff Gartman, a player's dad. Browne explains it's also a great support system, a place where there is no judgment and where their kids can be free. "Just the support we give each other you know it's like when someone's having a meltdown and it's okay we get it, we've all been in those shoes so we understand each other's situations and I think the networking with the parents is really great."